Madeleine Millinery is a unique millinery and accessories label that aims to fulfill the desire for beautiful and original millinery design. 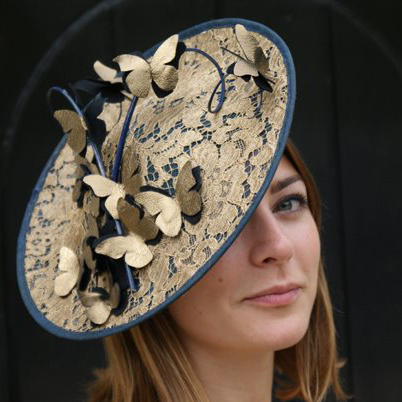 They aim to provide you with the perfect hat or headpiece - whatever the occasion. Carefully designed and hand-made in the UK, absolute attention is given to fine detail and luxurious fabrication. Seaming subtle originality with cutting edge sophistication the label specialises in hand crafted bespoke millinery using the finest materials; silks, organzas, tulles & crystals. Each original and innovative piece is designed and created in our studio on the edge of the New Forest. Madeleine Millinery is delighted to introduce the 2012 Spring Summer Collection; a beautiful range of dramatic hats and headpieces created in bold colours to complement outfits for a variety of special occasions including weddings and the races. They also specialise in colour matching and offers a bespoke service to complement any outfit or collection. 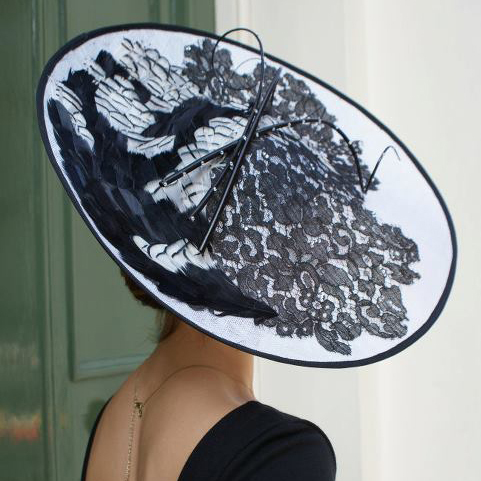 The Milliner, Madeleine O'Mahony has always shown a passion for art, fashion and textiles. Graduating from Winchester School of Art with a Printed Textile Design degree, Madeleine worked in London as a print and embroidery designer and then trained as a milliner before setting up her own studio. 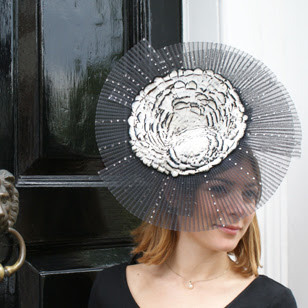 Madeleine has four years of millinery experience and has taught millinery design & techniques at Wiltshire College. Madeleine works from her studio in Fordingbridge, Hampshire and her designs have been worn by both Kate and Pippa Middleton. To see Madeleine's website click HERE. i so love the headresses or head accents. I don't call them hats because for me hats are plain ones these are really decorative accents in out body.